Need a Cash? Go to (LEGO) ATM! When you need a cash you go to ATM, but when minifig need a cash they need to go to LEGO ATM, so I created a minifig scale of ATM Gallery. They can use many ATMs from different banks. Those ATMs are a modified version of Chris McVeigh’s Arcade Machine as I don’t want to be the exact same. You can see what I modified on the inside of it at the bottom right of the picture. If you want to create Chris McVeigh’s Arcade Machine, you can go here! The color and the design of the ATMs and the gallery are from the real thing, but from Indonesia. Related Posts of "Need a Cash? 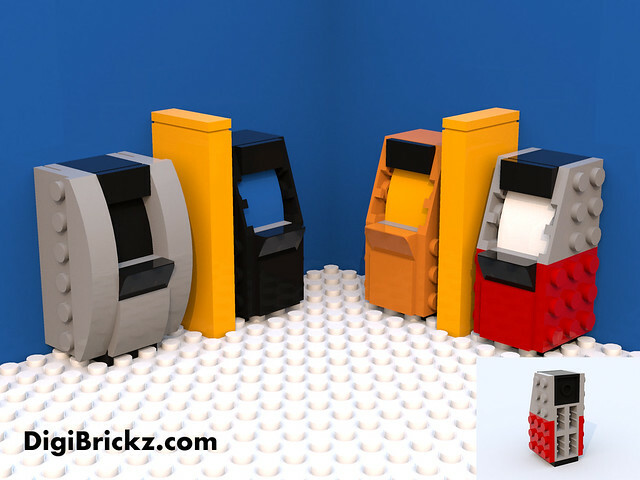 Go to (LEGO) ATM!"